Emphasis on “former enemy clauses” and general intransigence suggest Russia is in no mood to improve ties with Japan. I wrote yesterday about a act of Russian provocation toward Japan earlier this week; on Tuesday, two nuclear-capable bombers circumnavigated Japan’s four main islands. Following that up, on Wednesday, Russian Foreign Minister Sergei Lavrov made a series of remarks that continue to highlight why a Russia-Japan rapprochement isn’t in the offing any time soon. Speaking to reporters in Moscow on the issue of the Kuril Islands dispute between Japan and Russia, Lavrov essentially outlined Russia’s conditions for any peace treaty with Japan. He emphasized that Japan should not expect any Russian concessions on the issue of “former enemy clauses,” which under the United Nations Charter legitimize the post-Second World War actions by Allied States. Lavrov’s statements highlight how the Kuril Islands issue between Russia and Japan has effectively been moving backwards after a brief glimmer of rapprochement over the issue in 2013. Russia and Japan agreed in 1993 that “negotiations toward an early conclusion of a peace treaty through the solution of [the Kuril Islands] issue should continue.” Since then, there have been few opportunities for clear advancements. As I noted yesterday, in my discussion of the bomber circumnavigation incident, Russia has increased its intransigence and provocations toward Japan ever since it faced isolation from the West for its annexation of Crimea in early 2014. In addition to facing international sanctions, Russia was expelled from the G8, where Japan is a member. In 2016, Japan chairs the group (which is the G7 without Russia). 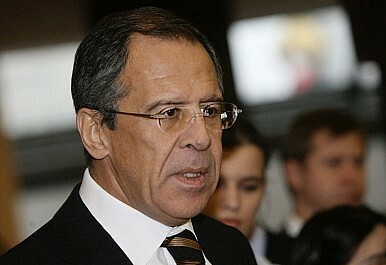 Based on Lavrov’s remarks, it would be unlikely for relations between Russia and Japan to improve anytime soon. Sure, the two countries have shared anxieties and areas for cooperation in the region–most notably, over North Korea. That alone won’t be enough to bring them to the table over their territorial dispute or toward a broader rapprochement. Japanese Prime Minister Shinzo Abe, as chair of the G7, appears to have extended a hand to Moscow. Earlier this month, he suggested that he wanted to see the G7 work toward “constructive engagement with Russia.” For now, it doesn’t appear that Abe’s intention will be reciprocated by the Russians. Japan and India Are Better Off Aligned Than AlliedThe Third Annual Eastern Economic Forum and the Japan-Russia SummitIs Japan Truly a Powerful Country?China, Russia, and the Long ‘Unipolar Moment’ RevisitedWhat Is Japan's Regional Threat Environment and Defense Strategy?